The Valve Controller installs out of the box, with no tools – hand-tighten the clamps to secure everything to your valve. You don't need a special valve or tools to use Guardian - just a standard quarter-turn ball valve. 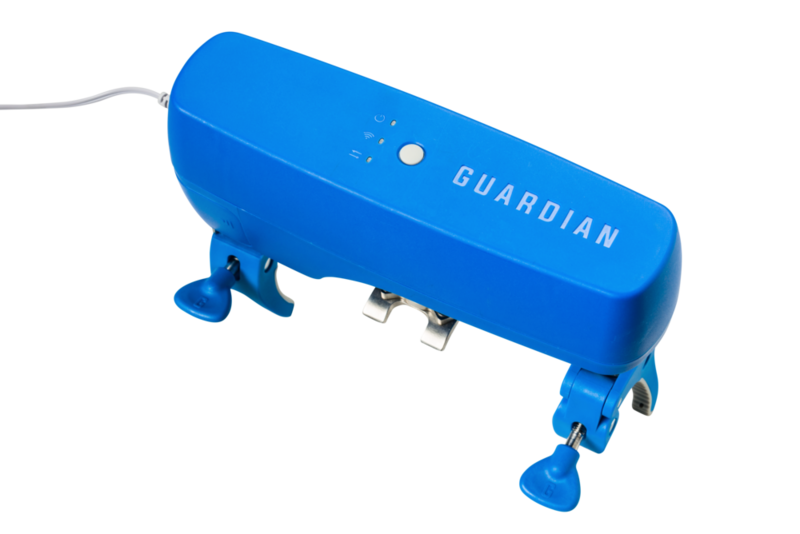 With the optional battery backup, Guardian will protect your home and shut off your water supply during leaks for up to twelve hours without electricity. Once configured, the Valve Controller will still shut off your water during a leak, even if the internet is down. WiFi is only required for setup as well as off-site control and monitoring of the system. 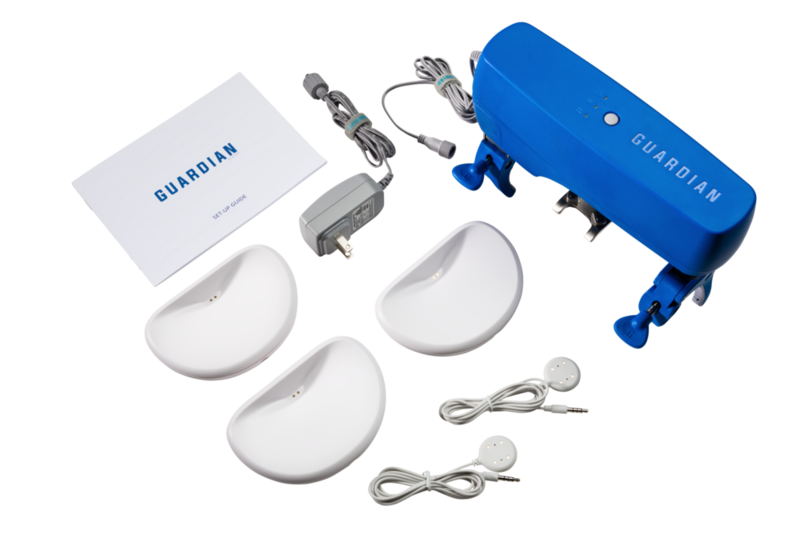 The Water Detectors can be placed up to 1000' away from the Valve Controller, which means Guardian will protect large homes and even apartment buildings. *Don't have the right valve? We've got you covered! Place near toilets, refrigerators, water heaters, and most other appliances and fixtures. Detects as little as two drops of water, and should be placed underneath potential leaks, for example under toilet valves, drains, or sinks. Monitors tight spaces and can even notify you before a sump pump overflows. Use underneath appliances or other difficult to reach areas. The Leak Detector includes a 15-year battery, and you will receive an alert when the battery runs low. Reuse your Leak Detectors even after a leak – its waterproof housing protects it from water damage. The Leak Detectors communicate directly with the Valve Controller over the air up to 1000’ away. Shut off the water and receive notifications right on your smartphone. The simple, intuitive interface lets you get on with your life and focus on what matters. Search through a log of events to see when something happened in your home, either for yourself or insurance purposes. Receive notifications when severe weather conditions are headed your way.